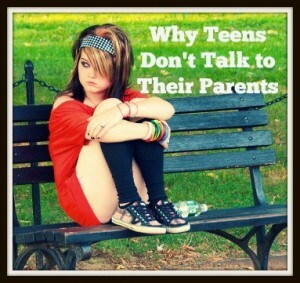 It is completely natural for parents to want their children to get along. Who wouldn’t want their children to be best friends and to look out for each other when we are not there to do so? Sibling relationships are unique and special. They are unlike any other relationship we will have in our lives; however, by its very nature it is not always going to be the idyllic vision we had hoped. 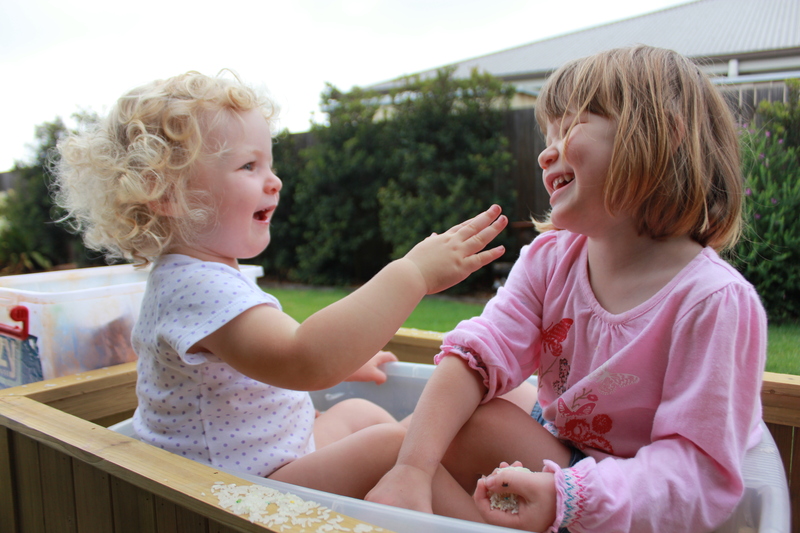 Sibling Rivalry, is always going to play a prominent part of most childhoods. 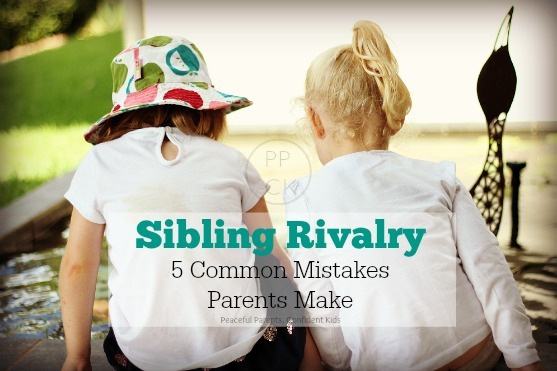 This entry was posted in Parenting Peacefully, Sibling Rivalry and tagged Conflict Resolution, Discipline, Sibling Relationships, Sibling Rivalry, Sportscasting, Toddler conflicts, toddler sharing, Unsharing on July 5, 2015 by peacefulparentsconfidentkids. 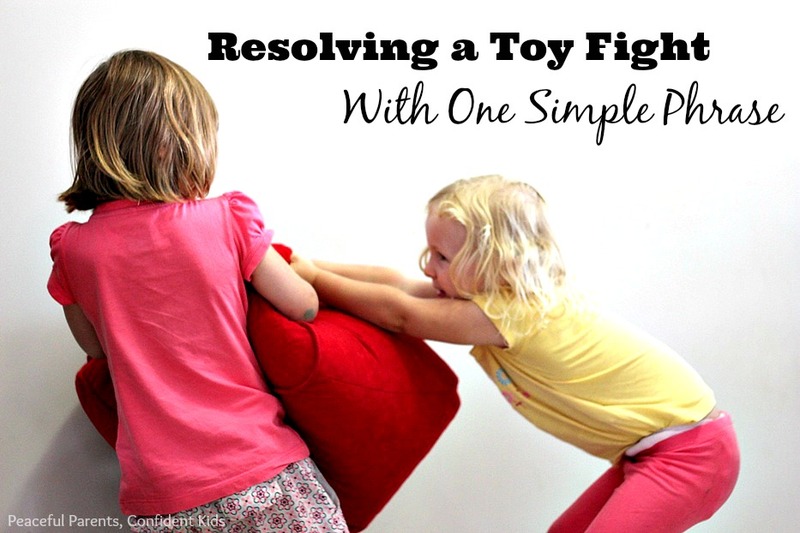 We have been through our fair share of sibling toy fights with our daughters’ fiery personalities and close age gap. Thankfully, since following the wise advice of Janet Lansbury and the RIE parenting philosophy, we are now seeing less and less of these battles as our children are both developing in emotional maturity and have now had significant practice at working through conflict before it gets to the kind of all in brawls we have been used to in the past. But what do you do as a parent when your children enter the ring for a wrestling match over a toy? Whilst it is important that they are given every opportunity to work through the conflict themselves, they do require parental presence and guidance to help keep them safe. Parental support will also give them the confidence to see the conflict through and find their own resolution. 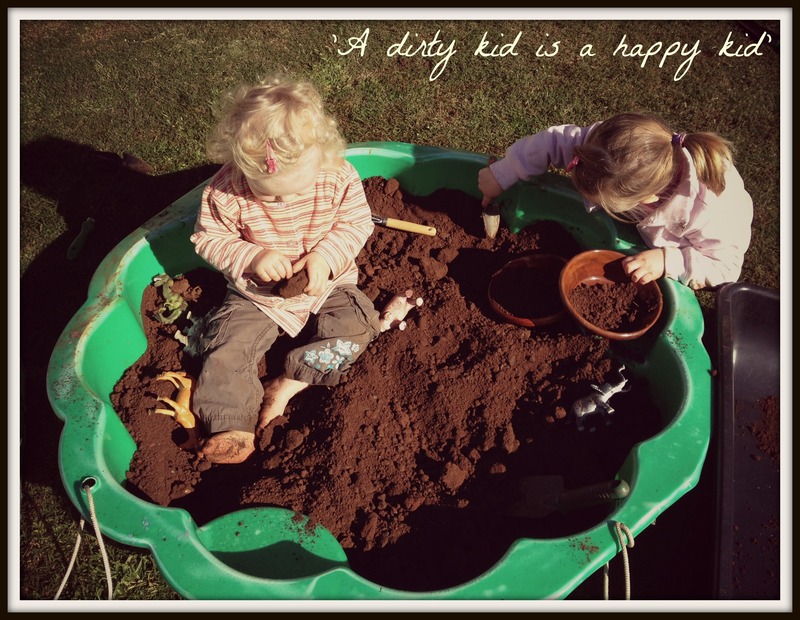 This entry was posted in Parenting Peacefully, Sibling Rivalry and tagged Acknowledging Feelings, aggression in toddlers, Respectful Parenting, Sibling Rivalry, Toddler conflicts, toddler sharing, Toddler Toy Fight, Unsharing on January 15, 2015 by peacefulparentsconfidentkids. Sibling squabbles are a common occurrence in our house as I am sure they are in many other’s. I have posted relatively frequently on this topic in the past. 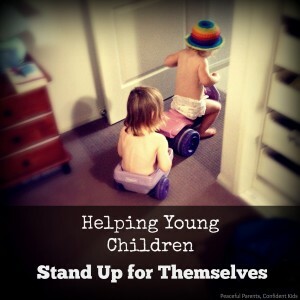 You can read some of these posts here (Could NOT Forcing Toddlers to Share Help With Sharing Conflicts?) 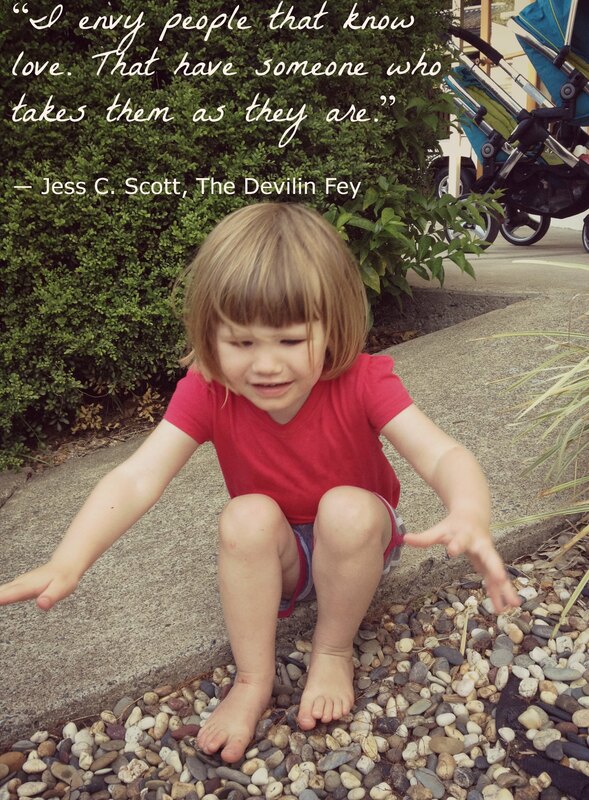 and here (7 Things I Should Know About Helping My Children to Share) and here (Why I Allow My Children to Struggle Over Toys). There is a common theme amongst my previous posts and that is that my eldest daughter (3.5 years) is quite often the one inflicting pain and misery on her younger sister (2.5 years). I have learned better than to label my children as bullies or victims, however, and I work hard not to so much as even perceive either of my children in these roles. Doing away with the bully label was quite easy once I started viewing my eldest as a victim of her own unregulated impulses and strong emotions as well as recognising the difficulty she has always had in accepting her younger sister into the household. 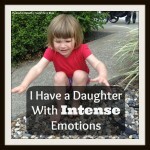 I have subsequently spent a great deal of time focused on helping her manage these emotions and ensuring she feels understood during her outbursts. 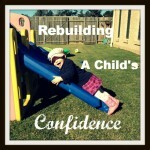 This entry was posted in Building Confidence, Confident Kids, Peaceful Discipline, Sibling Rivalry and tagged Assertiveness, Assertiveness in Toddlers, Conflict Resolution, Sibling Rivalry, Toddler conflicts, toddler sharing, Unsharing on November 11, 2014 by peacefulparentsconfidentkids. Sibling Rivalry has taken on a new meaning in our household over the past couple of months. Our children have both nominated themselves to compete in the Russell Household Olympics, competing in events such as Who is the fastest Dresser, Who Can Get to The Front Door First, Who Gets Strapped Into Their Car Seat First, Whose Milk is Poured Quickest, and Who is the Speediest Toilet Racer. Yep, it doesn’t matter what it is, every aspect of our daily life has been turned into an Olympic event where the children genuinely feel as though they have worked their whole life leading up to that moment. It sounds great in theory, with the children moving in double time to complete tasks, we should never be late again nor lose our patience when the children take too long, but unfortunately the absolute devastation which ensues in the child that does not realise their dream of winning undermines the actual speediness of the event. With my husband and I both being athletes and competing at high levels in Volleyball in the past, I guess it could be expected that my children would develop competitive streaks but gee whiz, we were never prepared for this. What confused us the most was that, we have consciously avoided pitting one child against the other deliberately avoiding using phrases like, “Who can get into the car first?” Or “Who can get their clothes on first?”, traditionally designed to manipulate children to move quickly through tasks. So when my eldest daughter, Lucy, came home from care one day, stepped through the front door and turned and announced “I win!” to her bewildered sister, Penny, I wasn’t quite sure how to respond. Initially I thought I would downplay it and it would die a death along with the other “bum bum” and “poo poo head” phases previously experienced. This was made easy in the early days by the fact my youngest had no idea what her older sister was talking about and therefore, did not react. Clearly, wanting to create a viable competition, Lucy persisted, often repeating herself to Penny in a tormenting tone “I win, Penny! Penny, I win, you lose! I beat you! Mummy, I beat her!” So whilst Penny was not sure what the words Lucy was saying meant, she started getting the feeling that whatever it was, she was coming off second best and she didn’t like it. Before long she had signed herself up for every competition going and I was unwittingly dragged in as an unpaid official. Soon, we were being woken every morning to the sounds of “I beat you!” followed by the loser’s devastated wail of disappointment and plea against the integrity of the winners self-proclaimed victory. Akin to a world war with so much seemingly at stake for the participants, these Olympic Games were not for the faint-hearted. As officials, my husband and I were there to ensure the safety of the competitors first and foremost and then to support the emotions of the losing competitor. This was becoming a difficult task with the meltdowns of the losing athlete taking up to an hour to dissipate. Keen to see the back of these championships, I tried a few different techniques. At first I tried to make it stop. When I could see the children enter the starting blocks, I would be quick to let them know it was not a race and it didn’t matter who won. This did not work however, as in their minds, it was a race and boy-o-boy did it matter who won. What was I thinking? So I began to muse – how could I support my children through this phase and help them through the big feelings when they lost. I could hear my mentor Janet Lansbury in my head saying ‘Let feelings be!’ and I knew I needed to try. I needed to accept these competitions and allow them to run their course, staying unrattled about the big feelings which followed. So my attempt to do this began. I continued to down play the competitions but used more sportscasting to help the children make sense of what was happening. When one child would announce their victory to their sibling (who was sometimes unaware they were even participating), I would say nothing unless there was persistence in the victor’s announcement or a protest by the loser in which case I would sportscast: “Lucy, you are saying that you got your cup out of the cupboard before Penny. Penny, you are upset.” Then I would acknowledge feelings for as long as I needed to. This method helped to provide me with the unbiased words I needed to use as the children sorted through their differences and I think it gave the girls an opportunity to learn how to cope with these difficult experiences in a supportive environment, but as months went on and more and more competitions entered our day, the impact on the functioning of our daily lives was getting extreme. It seemed the children were stuck in a competitive rut, addicted to the power they felt as a winner, and my patience was wearing thin. This was amplified by the fact that the competitions often occurred on the way out the door with the race to get into the car seat first a hotly contested event. I was always dragged into this one because whose door was opened and whose straps were buckled first ultimately decided the winner. Then began the long-winded process to convince the losing party to also get into their seat and get their belt on. I needed to help them realise that doing something faster, better, stronger or just first was not as important as they were imagining it to be. The victor was being afforded too much power by the reactions of the losing party and starting to seek this powerful feeling by ensuring the loser was well aware that they lost and should be feeling miserable. Their proud announcement of coming out on top was always directed straight at their competition with little regard for sportsmanship. I am so pleased to see the closing ceremony for these Games in sight and in the meantime I hope my children feel more confident to cope with such adverse situations and realise the strength of their own resilience when things don’t quite go their way. They sure seem to. 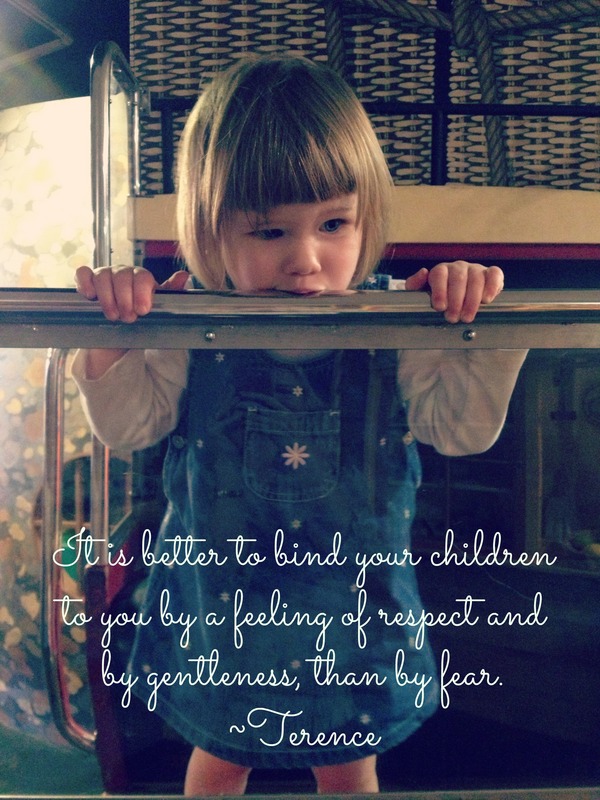 This entry was posted in Expressing Emotion, Peaceful Discipline, Sibling Rivalry and tagged Acknowledging Feelings, Competition between siblings, Conflict Resolution, Respectful Parenting, Sibling Rivalry, toddler sharing, Unsharing on August 24, 2014 by peacefulparentsconfidentkids. With two strong-willed children close in age, learning to share in our house has been a long and winding road. Following the wisdom of RIE founder, Magda Gerber, I have been lucky enough to be able to trust in the capabilities and strength of our children and allow them to work through their struggles fairly independently. There have been times, however, that I have struggled with the relentlessness of the battles and am grateful to have had my children patiently coaching me through this stage for as long as I needed. This entry was posted in Sibling Rivalry and tagged aggression in toddlers, Conflict Resolution, Discipline, Gentle Parenting, punitive discipline, Respectful Parenting, RIE, Safe Play Space For Toddlers, Sportscasting, Toddler conflicts, toddler sharing, Unsharing on February 9, 2014 by peacefulparentsconfidentkids. This entry was posted in Expressing Emotion, Sibling Rivalry and tagged Acknowledging Feelings, aggression in toddlers, Building a Trusting Relationship, Conflict Resolution, Gentle Parenting, punitive discipline, Respectful Parenting, RIE, Separation of Siblings, Sibling Relationships, Sibling Rivalry, Toddler conflicts, toddler sharing, Unsharing on January 29, 2014 by peacefulparentsconfidentkids. A while back I posted an article about the sharing issues between my two young toddlers (then 24 months and 11 months). I explained how my eldest daughter, Lucy, was struggling with allowing her younger sister, Penny, to have, well, pretty much anything. From morning to night, I would hear cries of “No! Mine!” even if Penny was clearly not interested in whatever it was Lucy was fiercely protecting. Rarely was Penny able to play freely with a toy or object without having to work through a conflict with her sister. I wanted to post a ‘Part Two’ to this ongoing saga as I know how common this extremely difficult behaviour is in households everywhere and I also know how hard it can be sometimes to trust and believe that intervening scarcely will still result in a child who knows the value of sharing and shows empathy and consideration for others. Lucy is now two years and nine months old whilst Penny is just 20 months. These children of mine are delightful in every sense of the word and seek out fun, adventure and a little bit of mischief in many of their undertakings. Despite their long-lived sibling battle, they would both rather play in each other’s company than play on their own. It is extremely reassuring for me to know this as I have often worried that the persistent possessiveness and need for control, Lucy has displayed towards Penny would result in a permanent blight on their developing relationship. 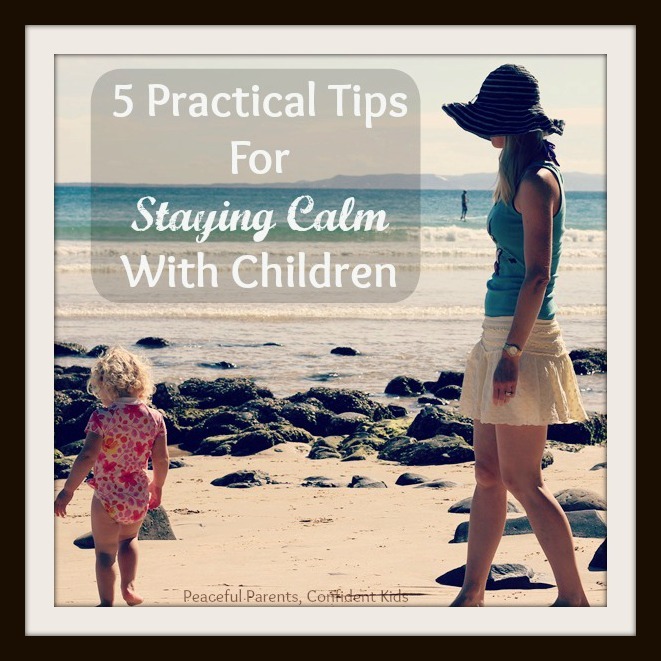 It has been quite a struggle for me to let go of this fear and allow my children the space they need to grow their own relationship. In doing so I have come to realise that with each act of taking, comes an opportunity for giving. For each cry out in anger comes a deeper understanding of each other’s tolerances and limits. And with each act of aggression comes an opportunity to learn empathy as they listen to each other’s suffering and feel their own pangs of misery as a result. As they lay their foundations for their own developing lives, they are learning to let each other in, little by little, step by step. My role is to simply allow this relationship journey to unfold safely without trying to force it, coerce it or manipulate it to unnaturally grow nicely, peacefully or overly quickly. More frequently now, my patience and perseverance with my chosen technique is being rewarded with little previews of the true, unabashed kindness that my children possess. All those traits of empathy and consideration previously unseen are starting to blossom and fill the house with morsels of joy. Just last week, I got caught up in the Christmas fever and baked a batch of gingerbread cookies – with the children of course. It was just a small batch. Just enough so that each of us could have just one large heart-shaped cookie each. They smelled wonderful as the aromas of sweet ginger filled the house and once out of the oven, I had a hard time keeping the children away from them long enough to let them cool. By the time afternoon tea time came, the cookies were ready and the girls were very excited to take their hearts outside and sit side by side on the patio to eat them. Now, I should mention here that Lucy is a notoriously slow eater. She chews each mouthful carefully and is never in a hurry to go for the next one. Penny, on the other hand, devours her food, often barely even bothering to chew, instead gulping things down after just one bite and then hurriedly returning for the next. Penny is consequentially always quick to finish her meals and will often complete a second helping before Lucy is even half way through her first. On this day, with the gingerbread, things were no different. The girls came wandering back inside about five minutes after going out. Penny had just one small piece left which she quickly shoved in her mouth before reaching out her hand and exclaiming “Bor, Bor!” (her indication for more). I said “You’ve finished your cookie and are asking for more. There’s no more now. There was just one each”. Not content with this, she trotted around into the kitchen, pushed her little step over to the bench where she knew the cookie tray was resting and climbed up. Somehow she knew there was one left – Daddy’s for when he returned home from work. I explained that this one was Daddy’s cookie and that she had finished hers but she was most unhappy with this prospect and proceeded to cry a heart wrenching cry to let me know. During all this, Lucy stood quietly, watching, observing, clutching her cookie. When Penny began to cry she came towards her and without any hesitation said “Here Penny, you can have some of mine!” and with that she broke off a little corner of her heart and held it out to Penny. Unfortunately, by this stage, Penny was not in a good state. She swung her arms wildly at Lucy’s outstretched hand, sending the little piece flying across the kitchen. I calmly sportscast “You didn’t want that piece Lucy gave you, Penny. 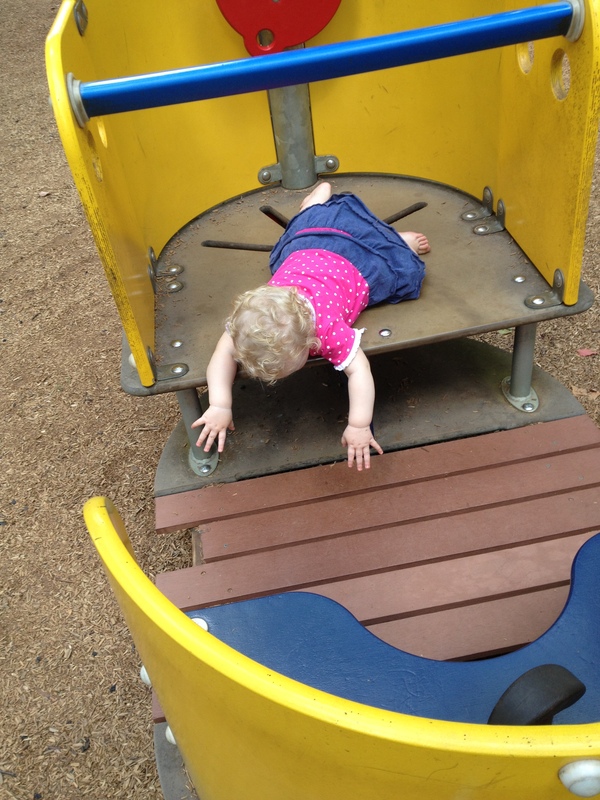 She climbed down her step and threw herself dramatically to the floor, screaming. Lucy then said, very matter-of-factly to me “I think Penny wanted a bigger one!” “Yeah” I replied. What happened next has proven to me that it is not necessary for me to teach kindness, empathy or even sharing. These are innate in children and will come out themselves if they are fostered in the right environment and supported, without judgement as they snake their way through the egocentric stages of those early years. They see us modelling kindness on a daily basis and gradually make their own associations between feeling good about themselves and being treated nicely. In the kitchen that day, Lucy proceeded to break off the lion’s share of her remaining cookie, handing it to Penny, who was still lying on the floor. Penny, accepted with a look of gratitude leaving Lucy with just one small mouthful in her hand. The girls merrily danced out of the kitchen together, running off to play and stopping only so that Penny could pick up the other piece of cookie that she had previously sent flying. She happily shovelled it into her mouth whilst still clutching the much larger piece she had so kindly been offered before continuing outside with her big sister. I was left somewhat dumbfounded and strangely feeling like the ‘bad guy’ who didn’t give Penny the cookie she so badly wanted. Lucy had been the one to hear the suffering and sadness in Penny’s disappointed cry and showed remarkable selflessness and empathy to her little sister. The same little sister who had borne the brunt of Lucy’s ongoing emotional outbursts and couldn’t even walk into the same room as Lucy without needing to defend the toy she had chosen to play with, was now being supported and comforted by her long-standing rival. This Mum couldn’t have been any prouder at that moment! 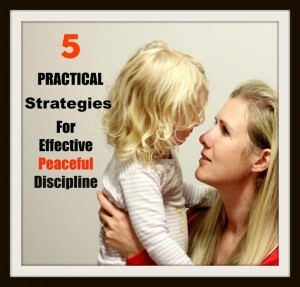 This entry was posted in Peaceful Discipline, Sibling Rivalry and tagged Building a Trusting Relationship, Conflict Resolution, Respectful Parenting, Toddler conflicts, toddler sharing, Unsharing on November 28, 2013 by peacefulparentsconfidentkids. 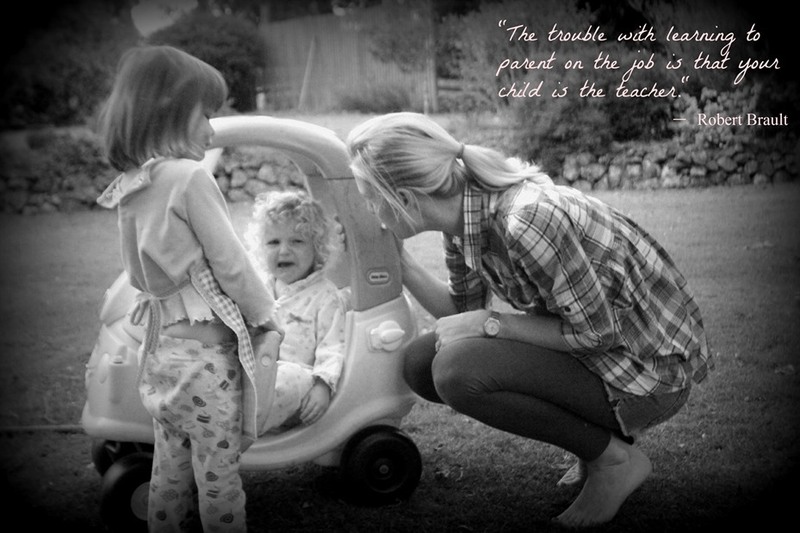 It took 18 months of parenting before I realised I was on a dangerously downward spiralling path with my children, pushing them further away and slowly undermining their sense of confidence in themselves and trust in me. As I read more and more about the RIE philosophy, I made significant changes to my parenting approach to become a more respectful and reflective parent for my children. The changes subsequently seen in our household were instant and considerable. Suddenly parenting made more sense. I began really communicating with the girls and was able to slow down and enjoy so many more moments with them – yep even the hard ones! You can read more about my introduction to RIE here. I began this blog just over six months ago with the hopes to inspire even just one person to become a more mindful and respectful parent as they take on one of life’s greatest roles. I could never have imagined in my wildest dreams that my little stories would be so well received and that people from all over the world would read them. I have learned so much about myself and my family along the way and feel blessed to be a part of such a supportive community both on the blog and through my Facebook page (Peaceful Parents, Confident Kids) I still continually find such strength and encouragement in talking to people about their own respectful parenting journey through these mediums. If you are visiting for the first time, thank you for taking the time to pop by. 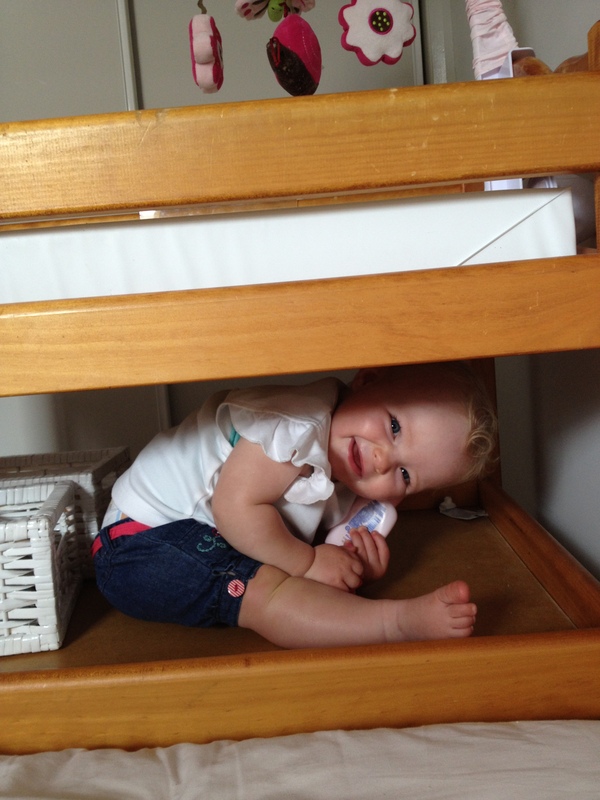 My name is Kate and I am a mother of two beautiful toddlers 13 months apart in age. 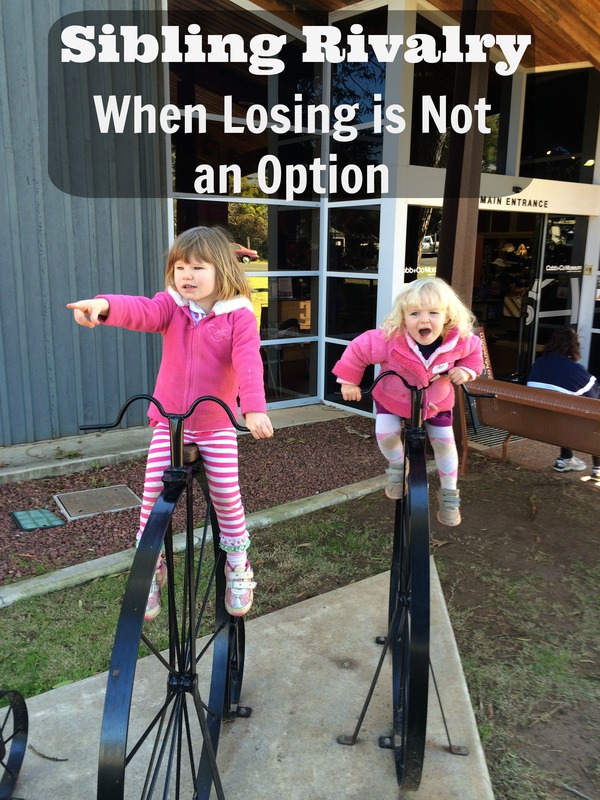 These two munchkins feature heavily in my posts as they are my inspiration and my guides as I negotiate the twists and turns of the Lucy and Penny roller coaster. I have put together some of my favourite posts here if you wanted to read a little more about some of our stories. Could NOT Forcing a Toddler to Share Help With Sharing Conflicts? Can Young Children be Better Served by Not Teaching Them? This entry was posted in Building Confidence, Expressing Emotion, Parenting Peacefully, Peaceful Discipline, Play, Sibling Rivalry and tagged Acknowledging Feelings, aggression in toddlers, allowing play at age and stage, Building a Trusting Relationship, Changing Nappys, Communicating with Babies, confidence in children, Conflict Resolution, Creativity, Discipline, Gentle Parenting, Imagination, Infant learning, Montessori Approach, Natural development, Respectful Parenting, RIE, Slowing Down Care Giving Moments, Tantrums, Toddler conflicts, Toddler emotion, Unsharing on November 14, 2013 by peacefulparentsconfidentkids. 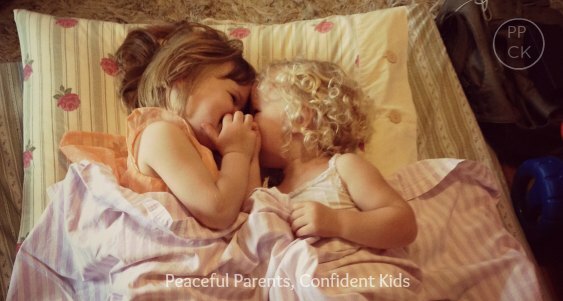 Hi, I'm Kate Russell and welcome to Peaceful Parents, Confident Kids. 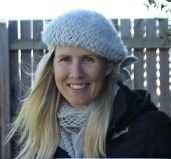 My aim is to share inspirational, everyday stories and tips with the hope to encourage you on your own respectful and peaceful parenting journey.